With end of year celebrations just round the corner, TABlog writers have put together a guide to some of the best Japan art / design / craft / guide books published in 2008. 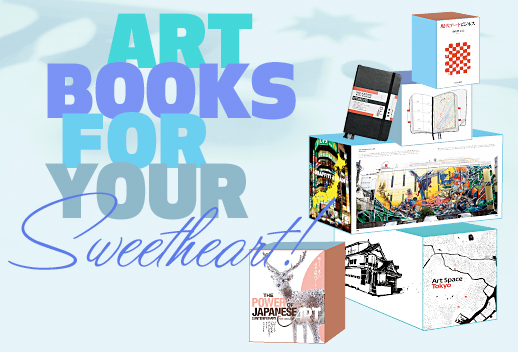 Give them to your sweetheart, friends, yourself or why not your local library! 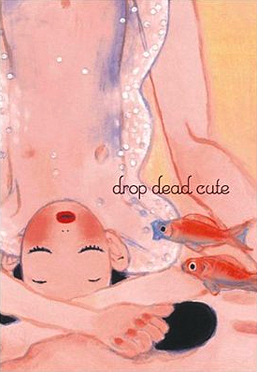 Ivan Vartanian’s Drop Dead Cute showcases the work of ten contemporary Japanese female artists. The issues Vartanian raises in his introductory essay, on the ‘manga’ themes such as cuteness and nostalgia, set the tone for the book. Does manga really influence contemporary Japanese art or does the western association of Japanese with manga make us see links where none really exist? The artist interviews reveal an inner struggle with the dominance of ‘manga’ art in broader society and the impact it has on art, be it positive or negative. The text is based primarily on Vartanian’s interviews with the featured artists: Ryoko Aoki, Chiho Aoshima, Chinatsu Ban, Yuiko Hosoya, Makiko Kudo, Yayoi Kusama, Kyoko Murase, Yuko Murata, Tabaimo and Aya Takano. There is a generous number of reproductions of the works, boldly displayed in full-page layouts. Aya Takano’s Subterraned gets a full ten pages with drawings fully displayed in their comic form with English translations of dialogue at the bottom. Chiyo Aoshima’s minutely detailed illustrations of the absurd are beautifully displayed in this book and a treat for the eye. Her comic illustrations of women are covered with tiny details: snakes in the corner, flowers with human faces, animals and people. Yuiko Hosoya has two different styles of drawing, both soft and subtle yet distinctly different. ‘Her Lympah: The Small Creatures’ series seems a standard brand of Pop cuteness, incorporating a lot of cuddly animal drawings based on the imaginary ‘lympah land’ that the artist herself created. Meanwhile, Hosoya’s other style features sharply outlined pencil on paper drawings of women. In a popular market where the manga style of portraying women as adolescent school girls with saucer shaped eyes dominates, Hosoya’s women portray a form of strong, forceful feminine beauty that makes for deeply affecting portraits. Perhaps the most widely known artist featured is Tabaimo, whose animated video installations have been exhibited widely in Japan and abroad. Tabaimo borrows classic Japanese styles and fuses them with modern settings to provide an eye-catching absurdity to her illustrations. Especially notable are recomposed original drawings from hanabi-ra (2003) a stark, boldly colored piece reminiscent of ukiyo-e mixed with the decidedly modern: in it a man stands with floral tattoos across his back, pieces of which slowly break off and drift towards the ground. The challenge that the producer of an art books faces is making the presentation of the book equal to the artwork featured inside. Drop Dead Cute succeeds beautifully in achieving this balance. Choosing a gallery or museum to spend an afternoon at from among the hundreds in Tokyo can be daunting. 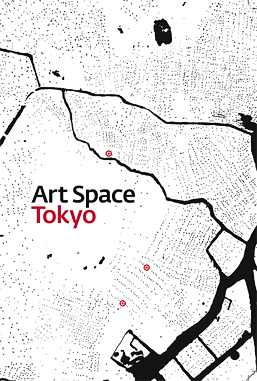 In Art Space Tokyo, Ashley Rawlings and Craig Mod profile twelve distinctive spaces representing the full spectrum from small galleries to established museums, placing each one in the context of Tokyo’s art world through interviews with curators about how the art ended up on the wall, as well as essays from art insiders and academics for a broader view. Each art adventure is accompanied by a map, food recommendations, quirky facts and stunning illustrations by Nobumasa Takahashi, making this both a book about art and an art book. “Tokyo lacks romance,” writes architect Toshiko Mori in the book’s foreword. “Nor does it have an architectural icon.” Nonetheless, the megalopolis has had an outsized influence on the global avant-garde, and this comprehensive survey will show you why. The huge volume showcases the work of about 80 local creative types in the fields of art, architecture, design, fashion, photography, and film. Ian Luna, an editor of architecture and design at New York’s Rizzoli press, masterminded the project along with five others, and his wide-ranging personal interests are reflected in the finished product, which seeks to explore this “megalopolis […] as both the site and the inspiration for an unprecedented explosion in design and the visual arts.” Projects from Klein Dytham Architects, Muji, A Bathing Ape, United Bamboo, and Mika Ninagawa are featured alongside those of many lesser-knowns, loosely organized by genre; the book’s photography section is especially strong. Interspersed with thousands of lush images are essays expounding on the city’s postmodern consumer culture, its presence in worldwide cinema, its influence on photography, and its future. 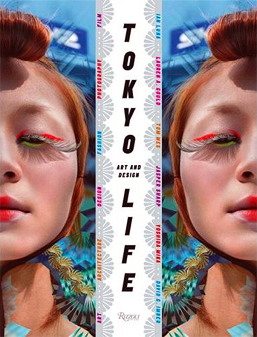 For the arts lover, Tokyolife is essential. 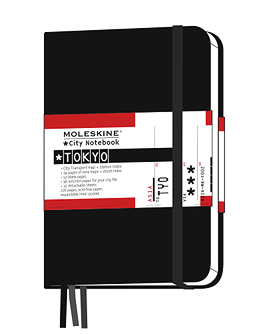 Tramp through the city with Moleskine’s new City Notebook Tokyo. The black notebooks originally used by Van Gogh, Picasso and Hemingway have been restyled for urban adventurers. Tuck tickets into the accordion pocket and doodle landscapes, city-haikus or observations on the blank pages at the end of the book. This guide comes with a 40-page city atlas, a fold-out subway map, and translucent stickies so you can trace your favorite routes to take around the city. Plus, tabs separate space to record your favorite restaurants, bars, hotels, and music venues. Handy for both locals and tourists. The second thing one notices about this monograph, after its white varnish cover and disproportionately small black title is the book’s text. There’s a lot of it. This is not your ordinary vanity publication presenting glossy photos of every object the designer conceived since university — though there are plenty of extremely innovative, interesting and inspiring products and research represented. Designing Design records cerebral tactility and a philosophy of designing as process rather than focusing solely on products. Hara, widely known as artistic director at Muji since 2002, defines his design mission as “re-design,” that is, as defamaliarizing seemingly mundane objects to make them new again — learning to see anew. He calls this ‘exforming,’ converse to inform. The book records questions and responses instead of merely displaying solutions and answers. It is in the not knowing that Hara’s ideas and developments engage and provoke. His second tenet is that design is a social act of solving common problems, of finding limits and new questions. Furthering this, Hara recounts exhibitions and courses where he has challenged designers, professionals and students, to critically assess various products and conditions — paper, macaroni, matches, roads and rivers — in doing so he prompts one to see the unique in the everyday, and he introduces a wide variety of talent. Conceptual and practical ruminations pervade – a fine balance maintained throughout the book. 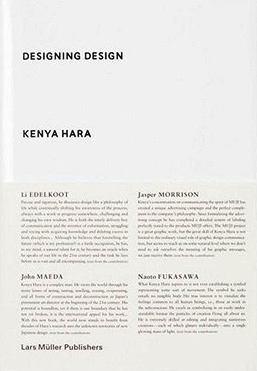 Hara explores the existential quality of ‘white,’ the local and global mission of Muji in a commodity market, the unique cultural position of Japan historically and geographically, even the ontological nature of design. The book focuses on Japan-based design and designers as that is Hara’s self-described milieu. Designing Design introduces a wide variety of talent, fascinating design – projects and products – and prompts a provocative way of engaging the world subtly, responsibly and refreshingly. Complex ideas come in this simple package. Lisa Katayama channels her clever grannies in Urawaza: Secret Everyday Tips and Tricks From Japan. 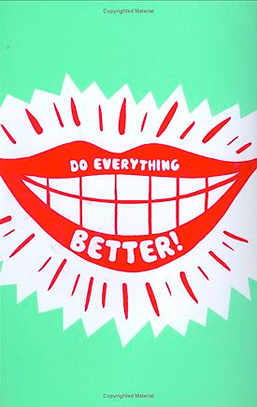 This guide to “do everything better” contains over 100 innovative ideas for staying healthy, keeping the house clean, the cupboards fresh, and even one upping your friends—all using nothing more than common household supplies. Stiff shoulders? Grab the scotch tape. Want to hit the high notes at karaoke? Time to crack open another bottle of wine. For the curious (or skeptical), each entry is accompanied by a scientific explanation. There is more to Urawaza, however, than these tricks exposed. The Tokyo-born and bred Katayama delves into the history of the craft and contributes anecdotes from her own experiences, meaning readers come out knowing that much more about life in the megalopolis. Her witty, down-to-earth style makes for a fun read while illustrator Joel Holland adds a comic book touch, and just a hint of irreverence. Readers are encouraged to further their study of urawaza, literally “secret tricks,” through at-home experimentation and post their findings on the author’s blog. 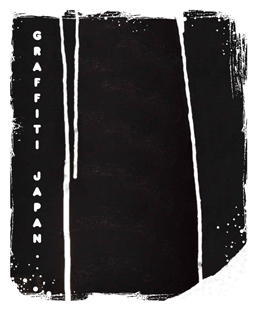 Graffiti may be a Western invention, but mix in Japan’s visual history and it morphs into another world. More than just bombing (quick tagging to mark territory), the graffiti in Remo Camerota’s book are works of art, exploding with samurai and J-pop stars, full body tattoos, kanji and manga. An Australian graffiti artist himself, Camerota shares photos of legal and illegal work from all over Japan, and interviews artists he met on his journey, like KRES, SUIKO and the godmother of graffiti, BELX2. Japan Graffiti unlocks the visuals of Japan’s underground graffiti world and the ideas that drive them, no JR pass required. Available in Tokyo this winter. Within the past two years Pecha Kucha Night (PKN), founded in Tokyo in 2003 by KleinDytham architecture, has achieved a parabolic trajectory in spreading to over one hundred cities worldwide, yet maintaining its humble, if not ambitious beginnings and underground coolness. Multiple voices, including its founders, organizers, critics, and presenters, recount PKN’s grass roots beginning, purpose, and dissemination through the scrapbook-oral history-memoir of Pecha Kucha Night, A Celebration. Presenters and organizers replay how PKN has affected their design communities. Yet each city carries its own unique flavor – from Tokyo to Auckland, Bogotá, Wellington and Zurich – complimented by the venue whether a bar, church, museum, corporate office or courtyards. Included are details on how to access the network and bring PKN to your city. Here in Tokyo, the PKN occurs nearly monthly at the Roppongi night club/event venue SuperDeluxe. Just as diverse are the presenters: comedians (professionals and the unintentional) designers of all sorts, scientists, city officials and CEOs, to name a few. Their topics range a wider gamut. Architect Toyo Ito once reviewed projects he lost to Rem Koolhaas. Hironao Tsuboi displayed a range of poetically designed household items. Performance group Strange Kinoko displayed joy and humor in dancing. Designer Tom Dixon strummed a tune for 6’20”. Toronto mayor David Miller examined views of his city through various blogs. Ultimately the book reinforces that PKN brings together real people in real places to share ideas, and there is a 20-minute beer break intermission. 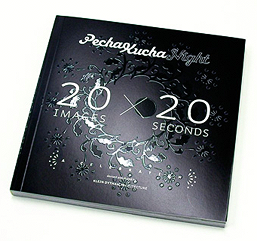 While the PKN presentation format dictates 20 slides at 20 seconds each, the 20 cm by 20 cm black varnish cover translates the PKN event into a hand-held experience. Alternating between spreads of presentations slides and narratives about PKN’s uniqueness and usefulness, Pecha Kucha Night, A Celebration condenses PKN’s essence in a well-designed fast visual read.